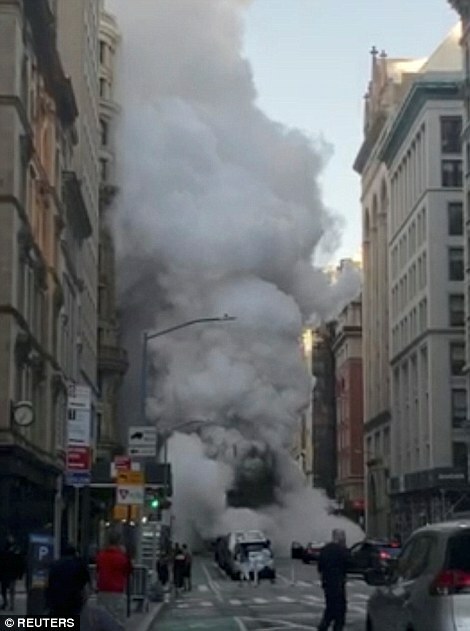 Traces of asbestos have been found in the debris of a steam pipe explosion in Manhattan which left a huge crater on Fifth Avenue on Thursday morning and sparked rush hour chaos. 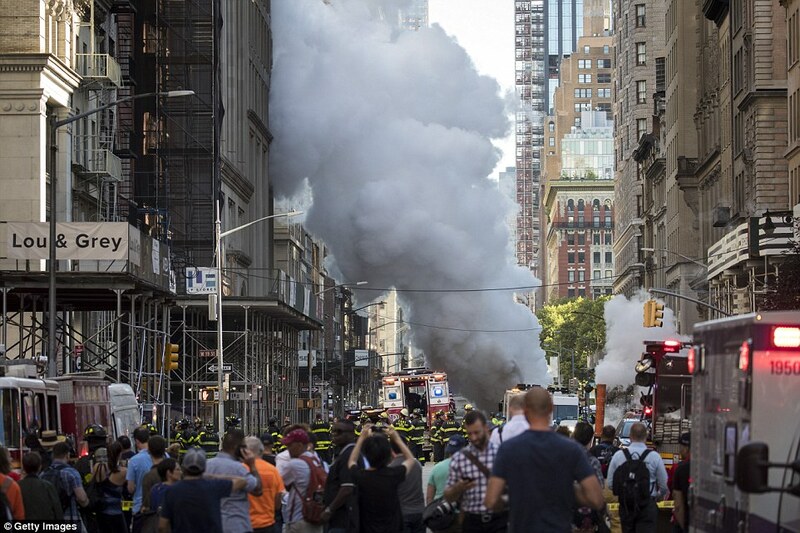 Anyone who was covered in dust or debris from the explosion is being asked to turn their dirty clothes in to Con Edison for testing. 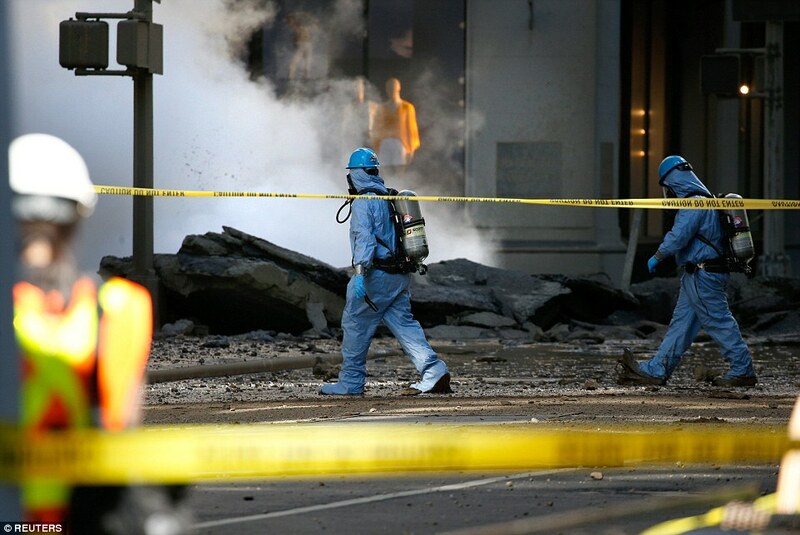 The explosion happened at 6.40am on Fifth Avenue between 21st and 22nd street outside Club Monaco. 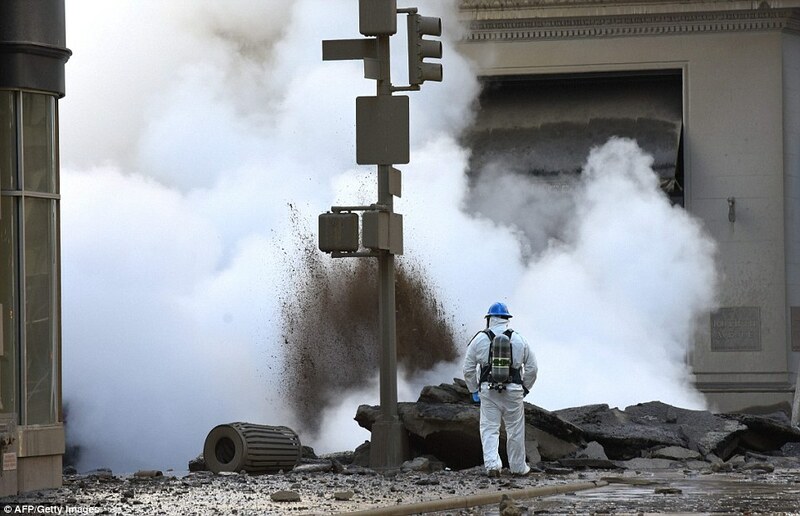 Anyone who was briefly exposed to the air near the scene is not at a health risk but if they were doused debris or if their clothing was even lightly touched by dust, they are at risk of repeated exposure. 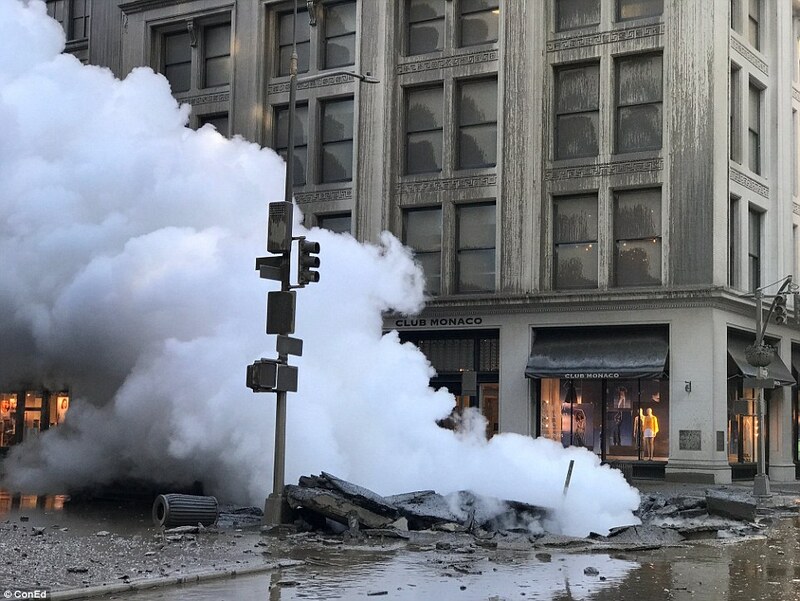 The asbestos was found in the 86-year-old steam line casing which burst onto the street as a result of the build-up of pressure underground. Over the next few days, 49 buildings will be searched and tested for exposure. Twenty-eight of those are in what is being described as a 'hot zone'. They will all remain closed for several days while tests are underway. 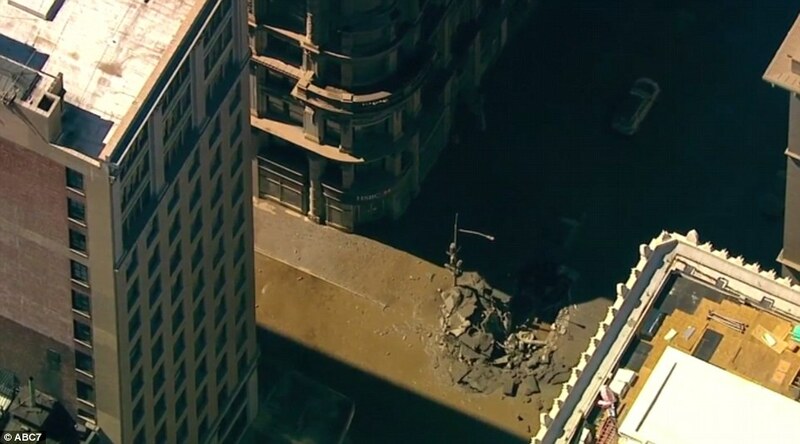 Authorities have not yet released a zoning map which shows the affected area. Some of the buildings in the area are partly residential. 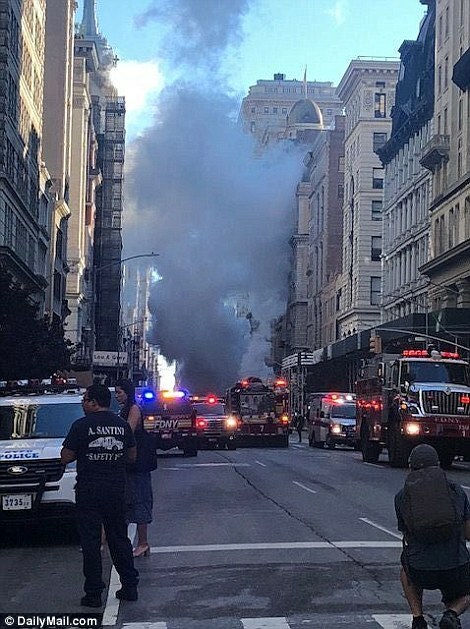 Anyone who has been displaced by the explosion may be compensated by Con Edison as will anyone whose clothing was affected. The drop off for clothes which may be contaminated is 22nd Street and Broadway. Anyone who was in the vicinity at the time of the explosion must shower, remove the clothing and place it in a bag to be washed. If they feel their clothing was contaminated, it must be dropped off. 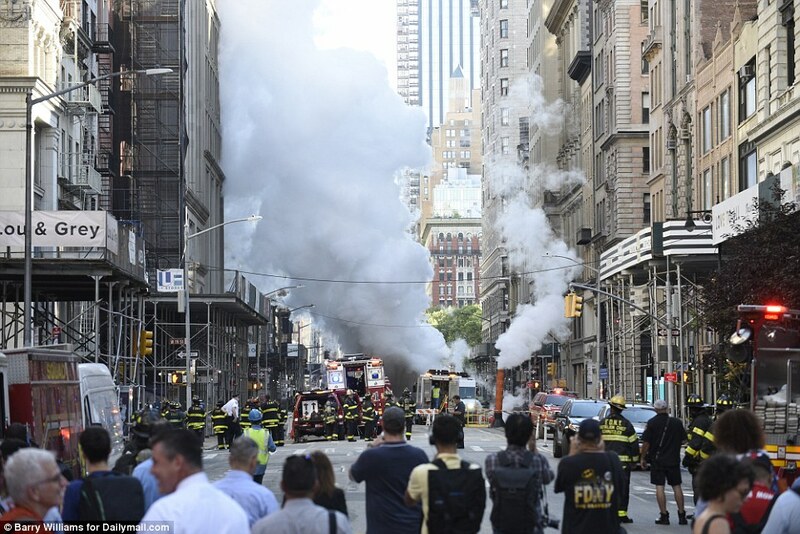 If you were in the area of Fifth Avenue between 21st and 22nd Street on Thursday at 6.40am when the pipe exploded, there is little cause for concern unless your clothing was covered by debris from the blast. 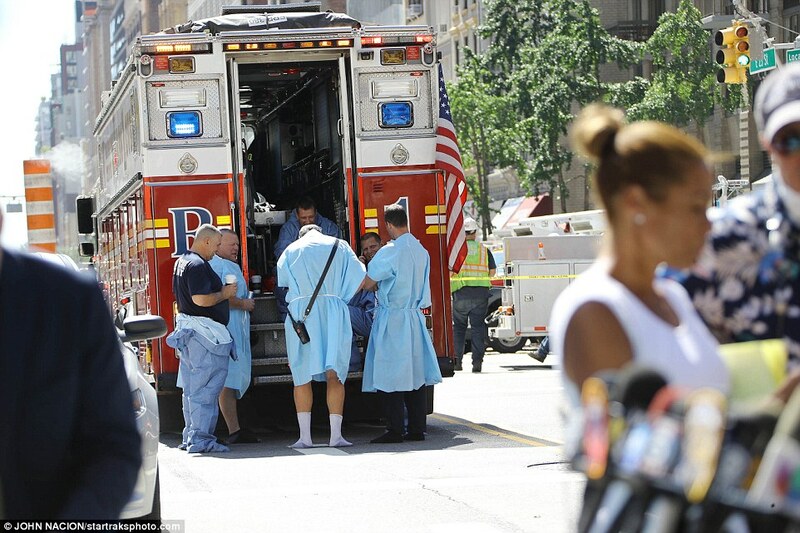 Anyone who was nearby is urged to remove the clothes they were wearing and bag it up to be handed in to Con Edison. They can drop it off at a site set-up at 22nd Street and Broadway. 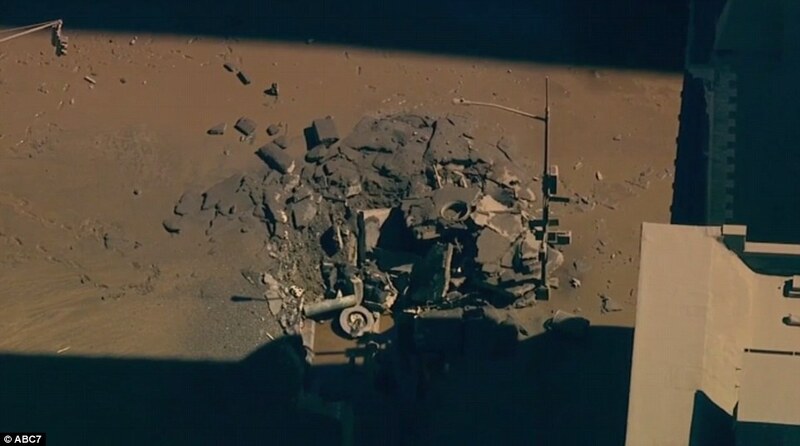 If you were nearby but your clothes were not hit dusted in debris, you are not at risk. 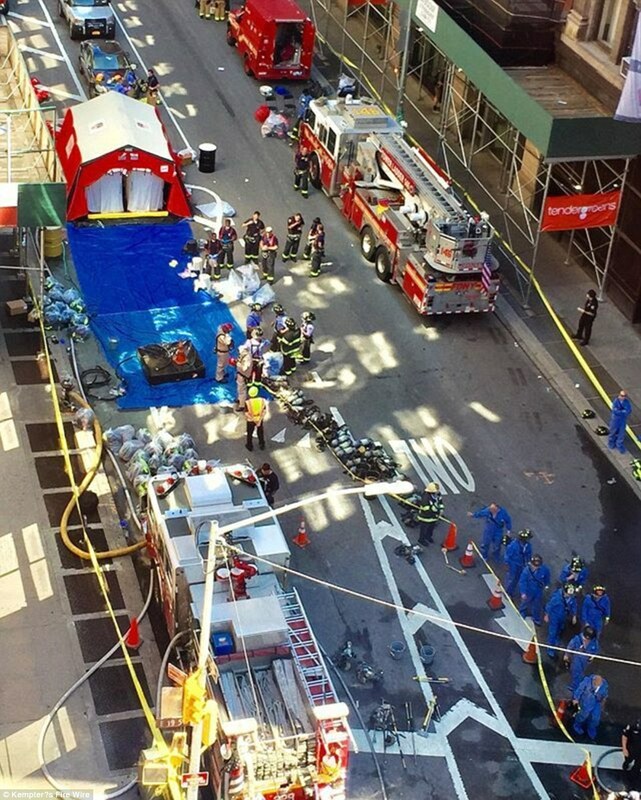 Anyone who still fears they may have been contaminated can go to one of the decontamination centers set up by the FDNY on Fifth Avenue near the blast site. 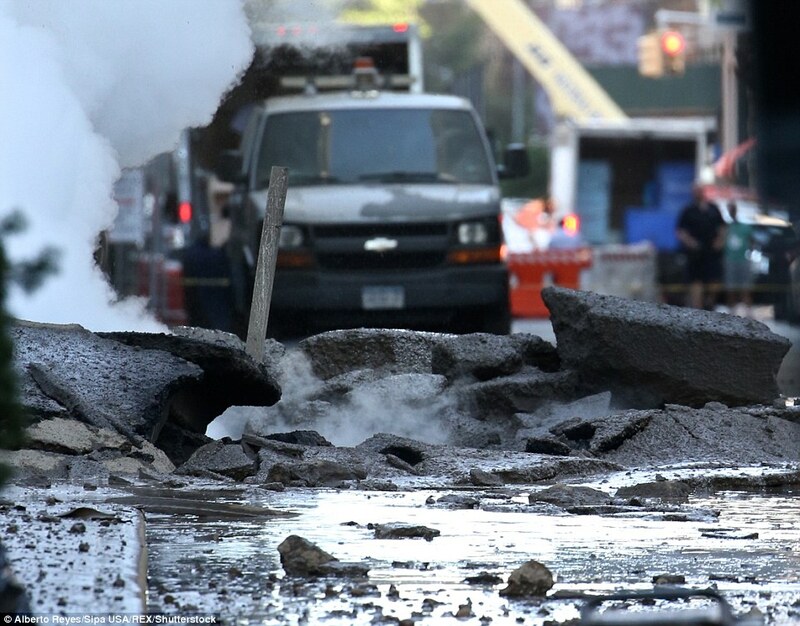 At a press conference at the site on Thursday afternoon, New York City Mayor Bill de Blasio said: 'There was asbestos in the steam line casing. 'That's obviously a real concern to us. We've confirmed the presence of asbestos. 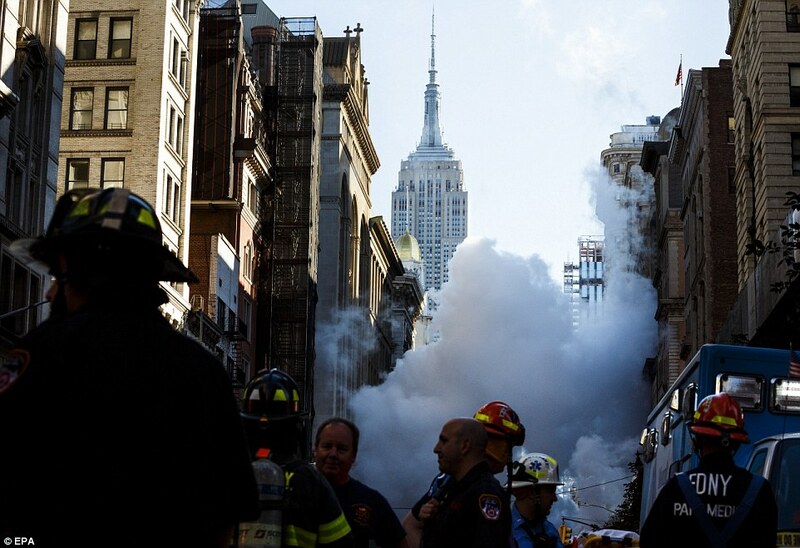 'We have also tested the air since the time of the incident. 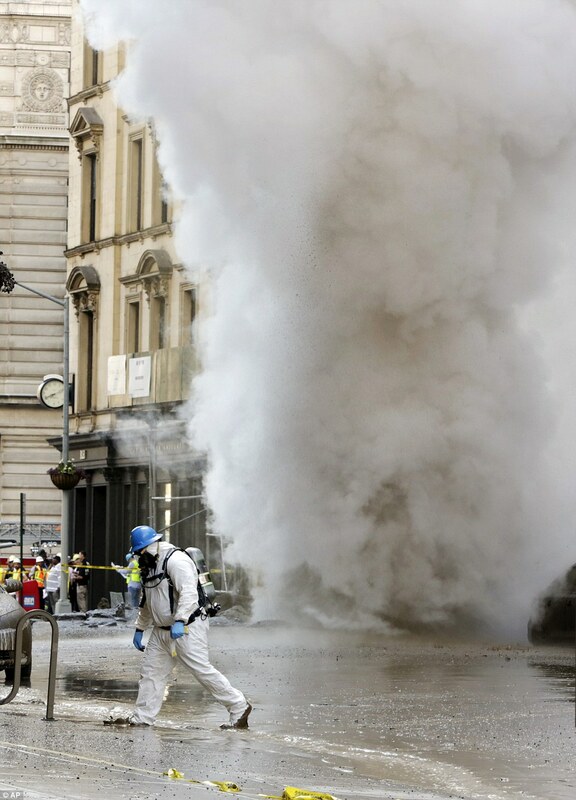 He was emphatic as he told people not to worry unless their clothes had been dusted in debris. 'Brief exposure to the air is not a problem but if this material is in a building or on clothing, that is a real concern. 'We do not want anything that could cause repeated exposure. 'Anyone who feels their clothing was contaminated, there is a specific protocol to make sure they remove it, bag it, bring it to a Con Ed site. 'We want that clothing turned in if there is debris or dust on the clothing. 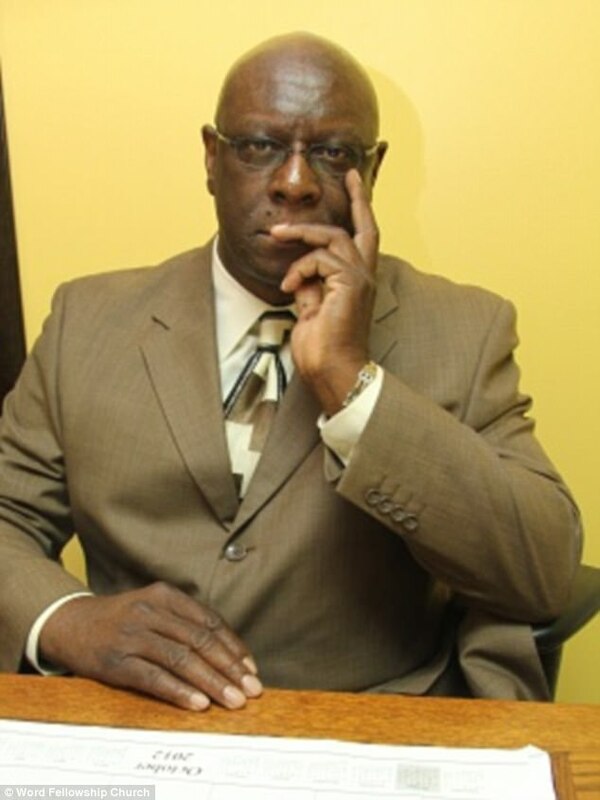 Con Ed will compensate those people in an appropriate fashion,' he said. There are dozens of buildings that will remain closed will now be looked over by professionals and tested for traces of contamination. Anyone who was evacuated must stay away until they are told definitively that it is safe for them to return. Asbestos is a heat-resistant mineral material which was popular in building and construction until the 1980s. They contain microscopic fibers which, if they are breathed in, can fester and cause lethal diseases including types of cancer. Asbestos was commonplace in construction in America and in many other countries until the dangers it posed became plain. Because it is heat-resistant and can be pulled apart to form a fluffy consistency, it was a popular choice of insulation for cost-conscious builders. Now, it is banned in dozens of countries across the world but the US is not one of them. 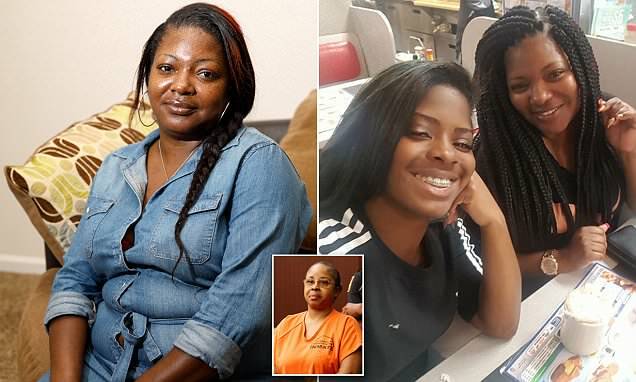 Its use is heavily regulated and the United States Environmental Protection Agency has banned a list of products which are known to contain it. The banned products are; Corrugated paper, Rollboard, Commercial paper, Specialty paper and flooring felt. However, many others which contain it are not. Those include; cement corrugated sheet, Cement flat sheet, Clothing, Pipeline wrap, Roofing felt, Vinyl floor tile, Cement shingle, Millboard, Cement pipe, Automatic transmission components, Clutch facings, Friction materials, Disk brake pads, Drum brake linings, Brake blocks, Gaskets, Non-roofing coatings, Roof coatings. In 1989, the EPA issued the Asbestos Ban and Phase-Out Rule (ABPR), which planned to impose a full ban on the manufacturing, importation, processing and sale of asbestos-containing products. Exposure to asbestos has been known to contribute to a range of ailments including asbestosis, lung cancer and mesothelioma. It is a natural substance which is breathed in in small doses almost by everyone without any health defects. However, when a large amount is disrupted and becomes airborne, more fibers are inhaled and therefore pose a risk. 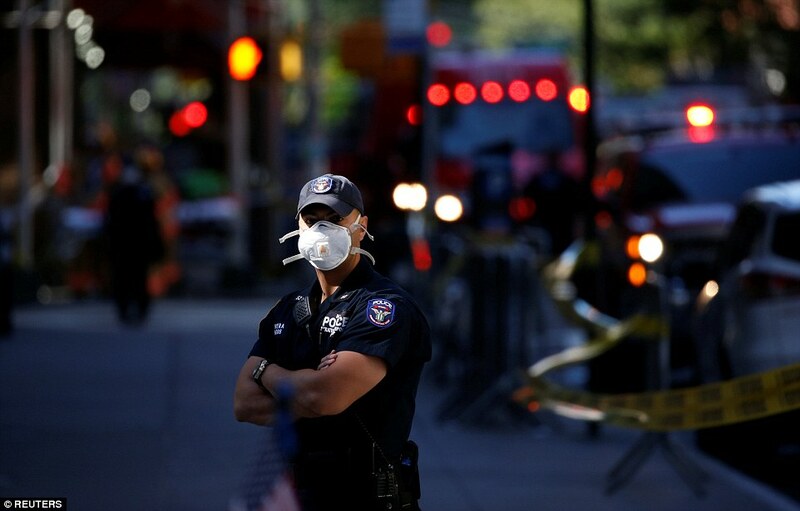 After the 9/11 attacks, many were feared to be at risk of developing health defects because of their prolonged exposure to the site which was blanketed in toxic debris. 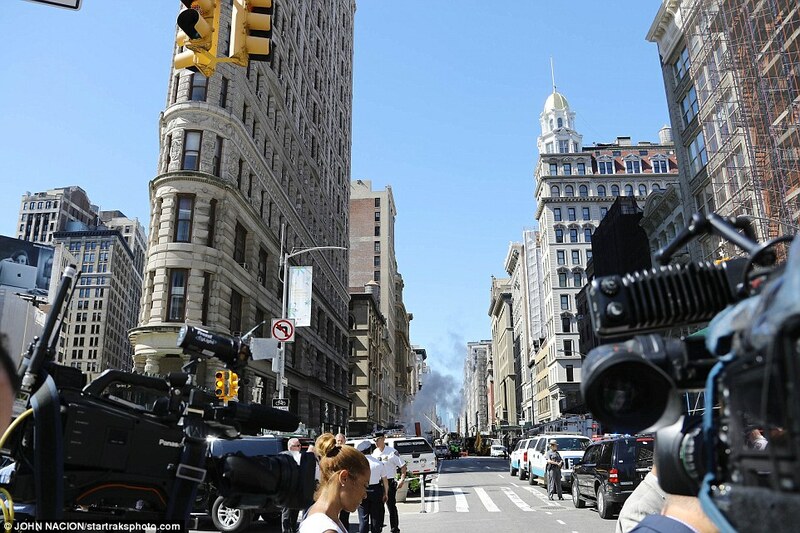 An FDNY spokesman said the explosion was a 'high pressure leak' but the exact cause of the blast is not yet known. 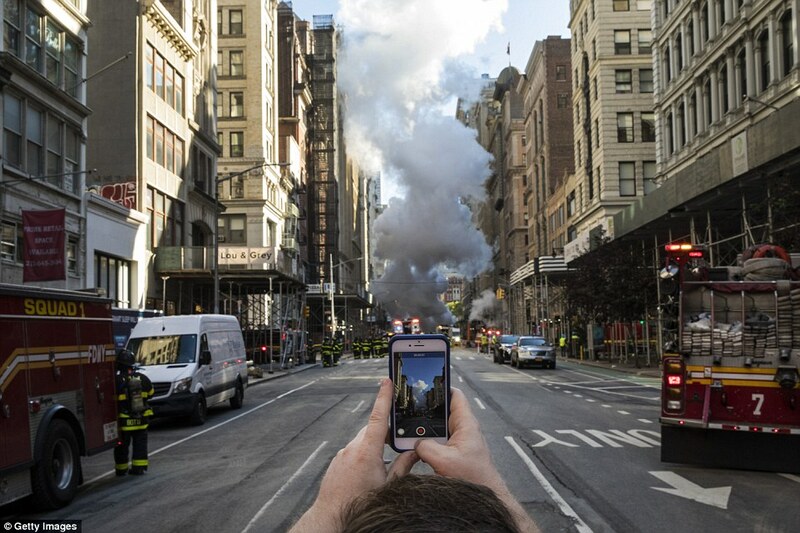 Con Edison dismissed rumors it may have been caused by construction workers at the site and said there was no work happening at the time of the explosion. One police officer and three civilians experienced scrapes and cuts as a result of the immediate blast but no other injuries were reported. 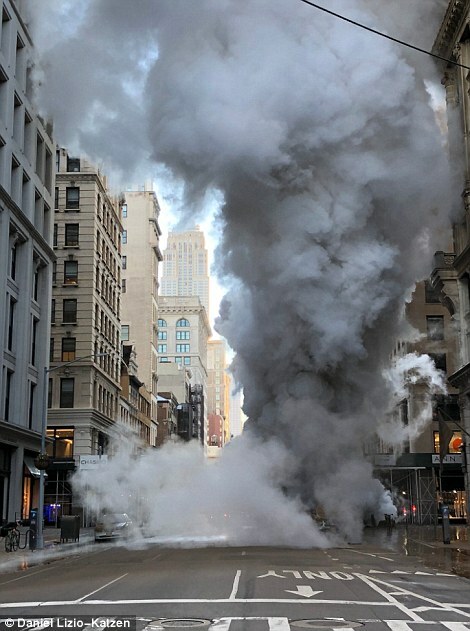 Bystanders shared astonishing photographs of plumes of steam rushing down the iconic street as fire fighters worked to get it under control. 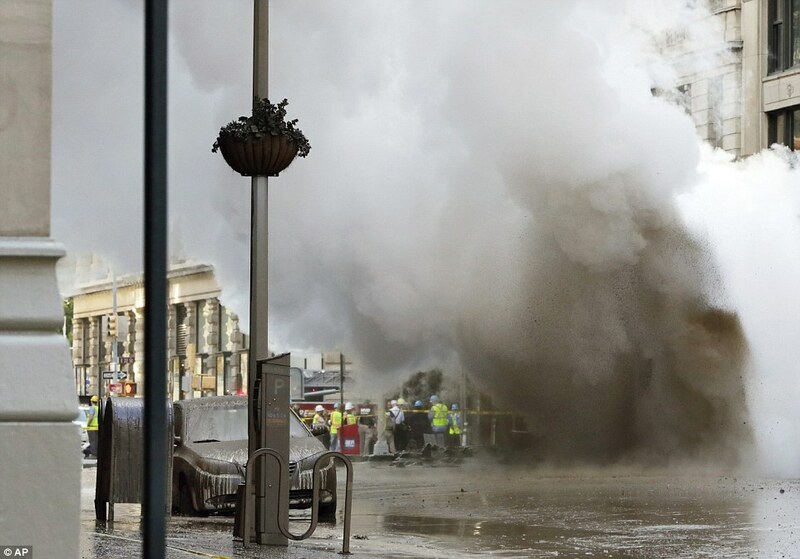 Witnesses described hearing a 'crazy loud sound' when the blast occurred then watching as the steam rose hundreds of feet into the air. 'There was just this absolute crazy loud sound. It was just really powerful. 'There are a lot of emergency personnel. 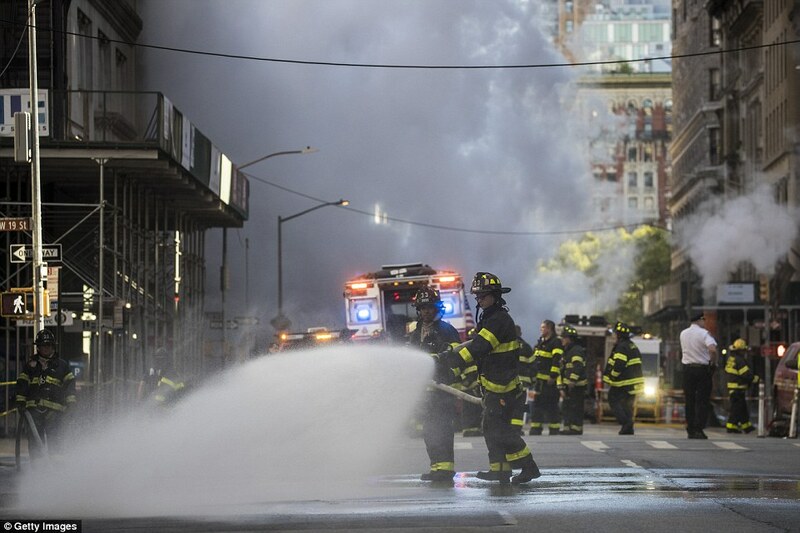 'Every block has either a fire engine or ambulance around it,' Adam Bloom, who was on the 30th floor of a nearby building, told local radio station WCBS. He said the smoke was rising higher than where he was. 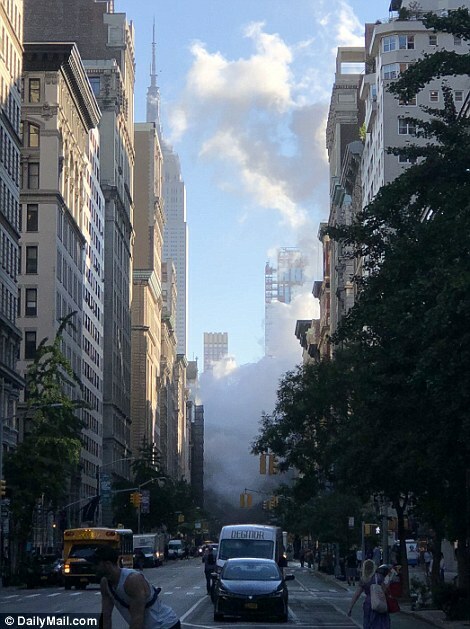 Huge clouds of smoke engulfed made surrounding landmarks including The Empire State Building and the Flatiron Building impossible to see.